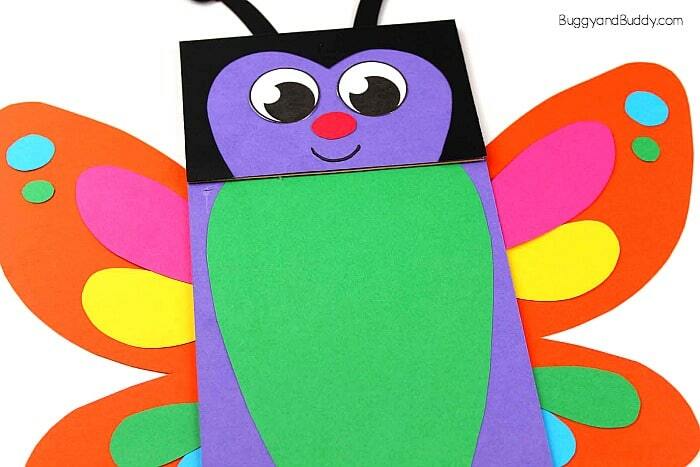 Print out our free butterfly template to create this butterfly paper bag puppet. 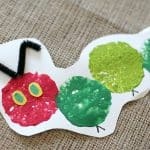 This craft is a fun one for spring and summer and goes great with a unit on butterflies or insects. We are on a roll with puppets! We just made a ladybug puppet and mermaid puppet. Now you can add this butterfly paper bag puppet to your collection! 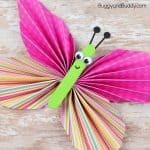 You can make all kinds of butterfly puppets in various colors and use them for a puppet show, for creative play, or even to retell popular children’s books like The Very Hungry Caterpillar and Gotta Go! Gotta Go! 1. 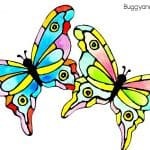 Print out the free butterfly template. 2. Cut the template out. 4. 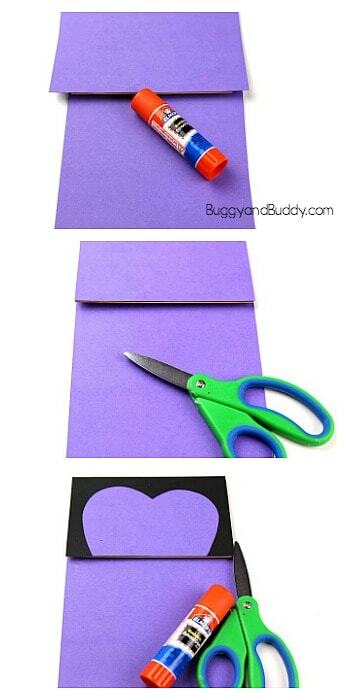 Use scissors to trim off any excess paper from the sides. 5. 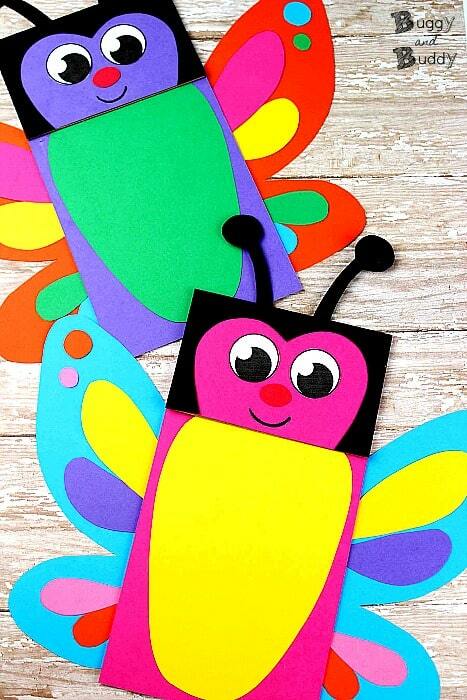 Trace the butterfly face shape onto cardstock or construction paper and cut out. 6. 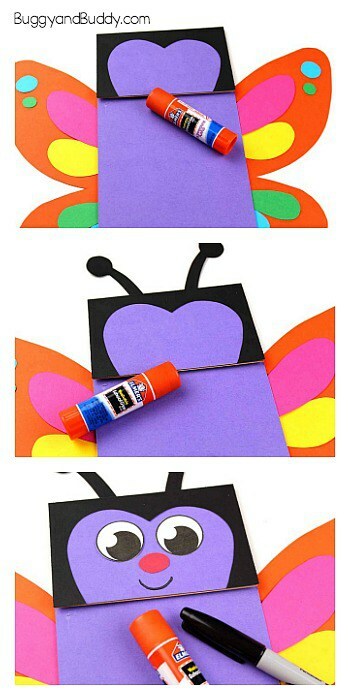 Glue the butterfly face onto the paper bag. Use scissors to trim off any excess paper from the sides. 7. 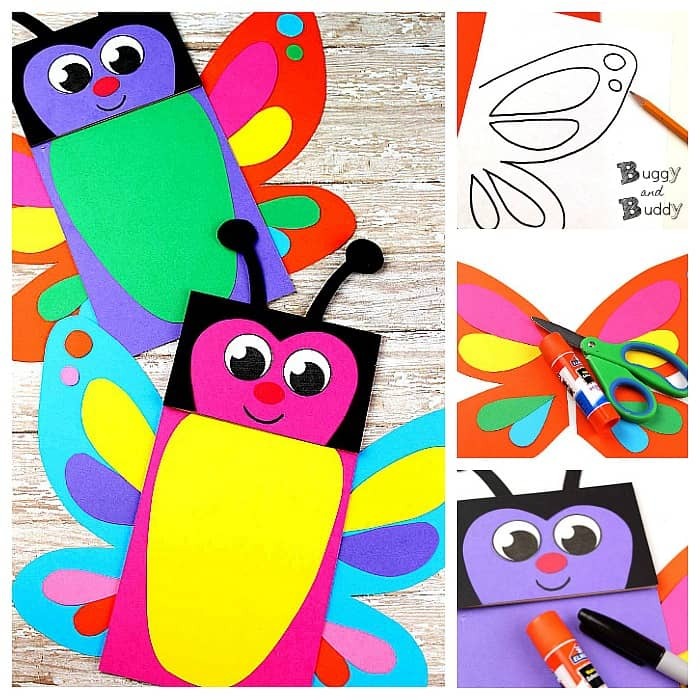 Trace the butterfly wing template twice onto colored paper. Cut it out and glue the wings together. Add any colored cutouts you want to the wings. 8. Glue the wings onto the back of the butterfly puppet. 9. Trace the antennae template onto black paper, cut out and glue onto the back of the paper bag. 10. 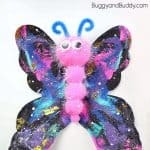 Cut the eyes out and glue onto the butterfly’s face. 11. 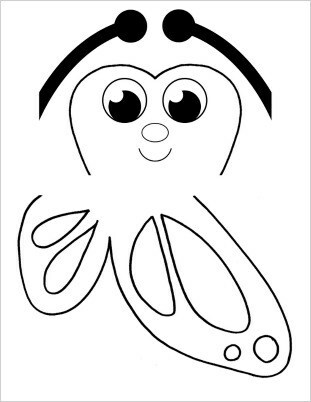 Trace the small oval onto red paper, cut out and glue just below the eyes to create a nose. 12. Use a black marker to add a mouth to your butterfly’s face. 13. 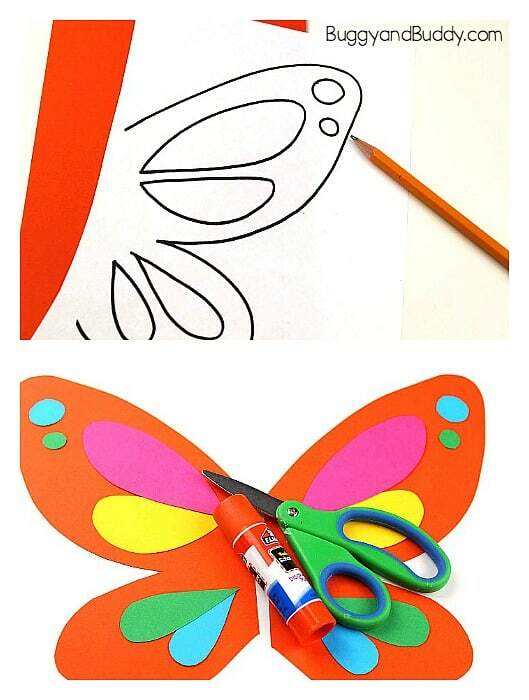 Fold a piece of colored paper in half and cut out a shape for the butterfly’s stomach. 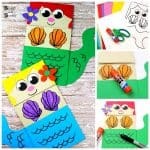 Unfold the paper and glue the shape onto the puppet. Your butterfly paper bag puppet is finished! 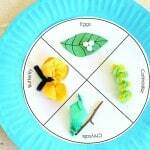 You can use your butterfly to encourage creative play or to make your own puppet show. Try making a whole batch is various colors!